Effective at 0845 hours on April 12, 2019, statistical areas 512, 513, 514, 515, 521, 522, and 525 are closed for the remainder of Trimester 3, through April 30, 2019. During this closure, common pool vessels fishing with trawl gear may not fish for, harvest, land, or possess regulated multispecies in or from this area. The closure is required because 90 percent of the Trimester 3 Total Allowable Catch (TAC) for witch flounder is projected to have been caught. This area will reopen at the beginning of fishing year 2019, at 0001 hours, May 1, 2019. 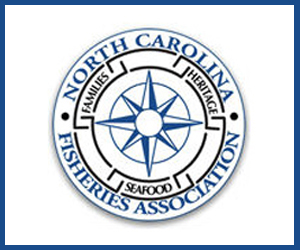 If you have crossed the vessel monitoring system demarcation line and are currently at sea on a groundfish trip, you may complete your trip in all or part of the closed areas. For more information read the rule as filed in the Federal Register or the bulletin as posted on our website. December 27, 2018 — Destructive trawling is more intense inside official marine sanctuaries, while endangered fish are more common outside them, a startling analysis of Europe’s seas has revealed. It shows that far from conserving sealife, many legal marine protected areas (MPAs) are being damaged by industrial fishing. The work has exposed “the big lie” behind European marine conservation, experts say, with most MPAs completely open to trawling. The researchers were able to assess the activity of fishing vessels in great detail thanks to satellite tracking equipment that is now compulsory on ships. They compared this with scientific data on the health of sea areas and looked at more than 700 MPAs, covering 16% of Europe’s territorial waters. In total, MPAs cover 29% of Europe’s waters. This revealed that commercial trawling activity was on average almost 40% higher inside MPAs than in unprotected areas. Furthermore, endangered and critically endangered fish species such as sharks and rays were five times more abundant outside the MPAs. “It should be the reverse,” said Prof Boris Worm, at Dalhousie University in Canada, who led the research. “When something is called a protected area, it actually needs to be protected. We know that when areas are actually protected they deliver: species recover, biodiversity increases and fisheries benefit as well, as fish become more abundant and spill outside these areas. June 21, 2018 — SEAFOOD NEWS — Twelve years ago Amendment 80 was adopted by the North Pacific Fishery Management Council to allocate several non-pollock groundfish among trawl sectors, and help form cooperatives in that sector. The amendment covered dozens of competing concerns and succeeded in striking a balance that has worked well in the last decade. But Amendment 80 was silent on whether the catcher/processors (CPs) in that fleet could act as motherships in the Bering Sea limited access cod fishery. Last winter, AM80 CPs acted as motherships taking deliveries from their own catcher vessels and others in a reduced allocation cod fishery. That resulted in an increased percentage in the amount of Pacific cod delivered to the AM80 sector, an increase in the number of catcher vessels delivering Pcod to motherships, and a decrease in the amount of cod delivered to shoreside processing facilities. 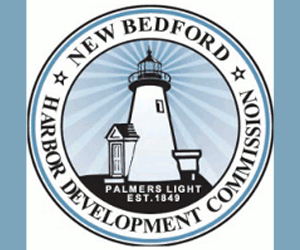 To correct this, the Council is considering options that would restore balance to the shore-based and off-shore processing facilities. In the process of understanding how best to address that, a latency issue has emerged. The Council revised its problem statement at their June meeting in Kodiak to reflect that. “Information shows a large number of AFA endorsed vessels are not participating, but whose catch history contributes to the AFA Pacific cod sideboard in the Bering Sea trawl cod fishery,” the new statement reads. Prior to the Council’s early June meeting, there were four Alternatives on the table. Now there are six. As always, Alternative 1 is status quo. 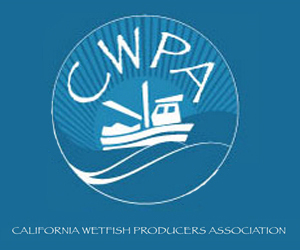 Alternative 2 has two Options, the first of which was revised at the June meeting to allow an AM80 CP may take directed fishery deliveries of Pcod from catcher vessels if the CP acted as a mothership and received targeted Pacific cod deliveries during 2015-2017, with sub-options of in any one of those three years, in any two years, or in any three years. Those sub-options will be analyzed and considered by the Council later this year. A second Option under Alternative 2 is for non-AM80 CP acting as motherships during 2015-2017. Alternative 3 was also revised at the June meeting to clarify that the allocation will be set for “A” Season and “B” Season and apply to all catcher processors limited by the action. Options for what final allocations will be included the percentage of Bering Sea subarea Pacific cod delivered to CPs acting as motherships, relative to the total BSAI Bering Sea subarea catcher vessels trawl catch between a variety of time periods ranging from 2008 to 2017. A sub-option was added to Alternative 3 that would exempt a CP from the sideboard limit if it had received deliveries in 7 or more years from the BSAI cod trawl fishery and the catch delivered would not accrue to any sideboard limit established for CPs when acting as a mothership. Alternative 4 was modified to clarify that both the catch accounting system and the fish ticket target definition would be considered when determining which catcher vessels would be eligible to deliver BSAI Pcod in the future. The two new Alternatives went further to include American Fisheries Act, or the BSAI pollock fleet. Alternative 5 would establish American Fisheries Act and non-AFA sector allocations for the cod “A” season. Specific allocation percentages or years to consider were not determined as part of the June motion. Council staff will provide information on that and on ways for the non-AFA sector to develop a cooperative or cooperatives to fish their Pacific cod allocation. Alternative 6 was added to ensure that AM80 CPs that have been replaced and no longer have an Amendment 80 quota share permit or an Amendment 80 LLP license would be prohibited from acting as a mothership for Pacific cod in the future. The restriction would apply to both the BSAI and GOA. Initial review of the analysis is scheduled for the Council’s February 4-12, 2019 meeting in Portland, OR. This story was originally published on SeafoodNews.com, a subscription site. This article is reprinted with permission. June 19, 2018 — For over 15 years, Cape and other small-boat fishermen in the Northeast have lobbied against the large vessels of the herring fleet, saying they are too efficient at catching fish. They claim these vessels remove such large amounts of herring from an area that there is nothing left to attract cod, striped bass, bluefish, tuna and other species that eat herring close enough to shore for local fishermen to catch them. These concerns resulted in a proposed regulation from the New England Fishery Management Council, known as Amendment 8 to the herring fishery management plan, which bans these vessels from inshore waters. A public hearing on the amendment is scheduled Tuesday in Chatham. Right now, these vessels of around 120-150 feet in length, frequently towing huge nets between two ships, can come within 3 miles of the Cape coastline. Fishermen and the public will have a number of options to comment on, including herring trawler bans that extend from 6 to 50 miles from shore. A few months ago, local fishermen and environmental groups were unsure how far offshore they wanted to push large herring trawlers, but recent preliminary reports indicating the herring stock may be in trouble have united many in the fishing and environmental community to press for the maximum: a 50-mile buffer zone. They say this measure not only helps them catch fish in their traditional fishing grounds, but also helps the herring stock recover. 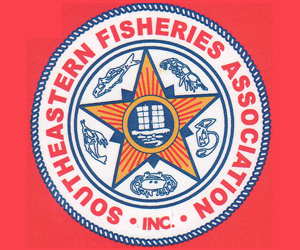 A second component of the hearing, hosted by the New England Fishery Management Council, would allow for changes in the annual allowed catch dependent on how the stocks are doing. 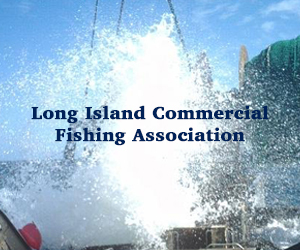 June 4, 2018 — Members of the Cape Cod Commercial Fishermen’s Alliance will meet with federal fisheries managers later this month to discuss the impact of big mid-water trawls working of the Cape’s coast. After decades of lamenting the trawlers’ effect on local fishing, the fishermen will be able to testify in front of managers about how the local ecosystem has suffered from the prolonged presence of the industrial-scaled boats. They will be advocating for a buffer zone off the coast that not only protects ocean herring, but also river herring and other forage fish that are caught and discarded as bycatch. Public officials from every Cape town, Barnstable County, and the region’s State House delegation all support a year-round buffer, as do many environmental, scientific and civic organizations. 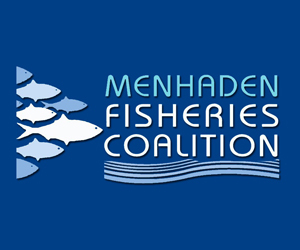 “Of all the issues facing us as a fishing community, protecting herring and forage fish might be the most important step we could take to rebuild our fishery and revitalize our waters,” said John Pappalardo, CEO of the Fishermen’s Alliance. October 23, 2017 — SEAFOOD NEWS — The West Coast trawl catch shares program (individual fishing quota/IFQ program) was implemented in 2011 for the groundfish fishery — but it’s not without its problems. One provision rose to the top during the current five-year review as the most controversial: gear switching. Sablefish is the most valuable groundfish, on a per-pound basis, on the West Coast. It is often graded on quality and at least five different sizes. Most sablefish is sold to Japan and a few other countries, but domestic markets have been in expanding for a few years. Whereas most other groundfish species have ex-vessel prices of cents per pound, sablefish frequently goes for dollars per pound. Better quality fish, i.e., those that are caught by longline or pots, typically fetch higher prices. On the West Coast, sablefish — or blackcod — are caught in a mixed species fishery by trawl and are targeted by longline and pots. The species is an important component of the trawl “deepwater complex” that includes Dover sole, thornyhead rockfish and sablefish. Dover sole is a low price/high-volume species for trawlers but access may be limited if a trawler has insufficient sablefish quota. Proponents of the trawl catch shares program in the late 2000s included an option to be able to switch gears to catch sablefish. That is, a trawler could use any legal groundfish gear, including pots and longline, to catch the valuable species if they so desired. Some fishermen say this was intended to allow trawlers to catch smaller amounts of sablefish that may be leftover from harvesting their deepwater complex. Other fishermen say it was intended to allow a switch to what some claim is an environmentally cleaner harvesting method. Because a single provision may have multiple purposes, both may be correct. Regardless, the effect of the provision was that some fixed-gear vessels purchased trawl permits and quota and are now harvesting sablefish. Sablefish quota prices increased to the point where some trawlers could not afford to buy or lease it on the open market in order to access their Dover sole quota. Others may have simply chosen not to buy or lease the quota. A limited supply of sablefish quota overall may also have been the culprit for some trawlers not being able to access their Dover sole. In some years, the quota went quickly and less than five percent was available by year’s end. At the same time, fixed-gear vessels have made significant investments in gear and equipment to access trawl sablefish quota. 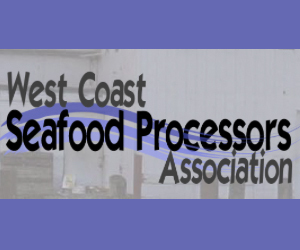 Processors are concerned blackcod will continue to act as a choke species, limiting access to the volumes of groundfish necessary to keep processing crews working. But there’s another wrinkle. Sablefish quota is available in two distributions: north or south of 36 degrees N. Latitude — near Point Conception in southern California. A handful of fixed-gear vessels using trawl quota have traveled from Oregon and Washington to fish the southern area. Southern California fixed-gear fishermen found themselves with new entrants on their traditional fishing grounds. The Pacific Fishery Management Council in September took the first step at making the gear-switching provision work for everyone. One of the proposals includes eliminating the management line at 36 degrees north latitude, thereby creating one coastwide pool of quota. The Council also proposed mitigation measures to limit gear switching. Jeff Lackey, a trawl vessel manager from Newport, Ore. Seafood News will run their perspectives, in their own words, of the gear-switching issue this week. The Pacific Fishery Management Council will be wrestling with this issue over the coming months. The trawl catch shares program that began in 2011 has some positive elements. However, it has also led to operational difficulties that have significantly decreased catch for bottom trawlers. The unintended consequence of the catch shares program was that a significant fixed-gear fishery for sablefish sprang up almost literally overnight within the trawl fishery. Hundreds of thousands of pounds of sablefish quota a year were going to fixed gear vessels and then coming to the dock without the associated catch of other groundfish species. So by 2016, five years later, the species that trawl catch of sablefish helps get to the dock had seen their coastwide annual catch drop by about a third compared to pre-catch shares capacity. That’s roughly 14 million pounds a year in lost catch and corresponding seafood available to the consumer. This translates to dozens of lost full time jobs in the processing sector alone, as well as dozens of trawl vessels that left the fishery. In 2011, some trawlers left the fishery altogether and some switched to the shrimp fishery rather than compete with fixed gear boats that were buying trawl permits and entering the trawl individual fishing quota (IFQ) fishery. It is difficult to generalize the business plan of each individual trawl vessel as each has a different set of circumstances, such as the amount of quota they have and the other fisheries they participate in. However, when you match the individual stories of difficulty in executing a viable fishery given sablefish limitations with the overall data of a diminished fishery, a clear picture emerges. The lost yearly bottom trawl catch is about what one would expect for the amount of sablefish that has been lost from the trawl fishery. To return the fishery to pre-IFQ program catch levels and allow the stability the program affords to make even more gains, the coastwide sablefish quota allocated to the trawl IFQ program would need to be caught by trawl vessels to facilitate the catch of other groundfish species. Effective tomorrow, September 1, 2017, until February 28, 2018, non-groundfish trawl vessels fishing with a codend mesh size of 5 inches or greater are no longer required to use approved selective trawl gear (haddock separator trawl, rope separator trawl, or Ruhle trawl) in the large southern windowpane flounder Accountability Measure (AM) areas. For more information, read the permit holder bulletin and the emergency rule as filed in the Federal Register. Through a previous action, groundfish vessels may also fish in the AM areas without selective gear, effective September 1 2017 through April 30, 2018. While we were able to remove the accountability measures for the groundfish vessels through existing regulatory processes, an emergency rule was required to remove the accountability measures for non-groundfish trawl vessels. 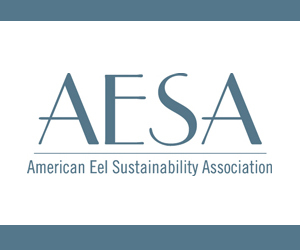 This emergency rule is intended to minimize economic harm to the fluke and scup fisheries. Electrofishing: Saviour of the sea or fracking of the oceans? August 17, 2017 — The Netherlands is testing a new technique to fish – using electric currents. Electrofishing is controversial and is banned by the EU, but can be used on an experimental basis. Critics argue it is cruel because it breaks the backs of some larger cod. But advocates say it is less damaging for the environment than traditional beam trawling. James Clayton reports for BBC Newsnight. August 8, 2017 — Stony Brook University has received a nearly $170,000 grant from the National Oceanic and Atmospheric Administration to support marine science and fisheries research. The money will be used to improve management of protected species of fish and marine mammals within what is called the Northeast United States Large Marine Ecosystem. The grant will support the use of state-of-the-art climate models to develop tools to assist the commercial fishing industry in reducing bycatch of marine mammals and fish in long-line and midwater trawl fisheries, according to a statement by Lesley Thorne, a Stony Brook University assistant professor. This, Dr. Thorne said, will increase the efficiency and profitability of marine resources. July 24, 2017 — Roughly a fifth of all fish eaten globally are caught using nets towed along the bottom of the ocean. There’s long been concern that this method – known as trawling – destroys or severely damages the ecosystems where it’s used. Now, a new meta-analysis of the science available on this topic offers some quantification of the impacts of different type of trawls. While it is undeniable that dragging metal gear across the seafloor impacts the ecosystems there, a new analysis of seventy different studies finds that not all trawls are equal, and that some do significantly less damage than others. In particular, otter trawls – the type most commonly used in New England – have the least impact of the four types compared. Otter trawls scrape, on average, just under an inch off the seafloor and remove about six percent of the animals living there. In contrast, hydraulic dredges squirt water into the sediment to release buried animals, reaching about six inches into the sea floor and removing more than forty percent of animals.